The latest Windows 10 Redstone 5 Insider preview build (version 17692) has started rolling out to Fast Ring and Stay Ahead users today with brings a bunch of improvements in tow. The highlight of this update, however, is that Microsoft is bringing its well-known SwiftKey keyboard to Windows 10. 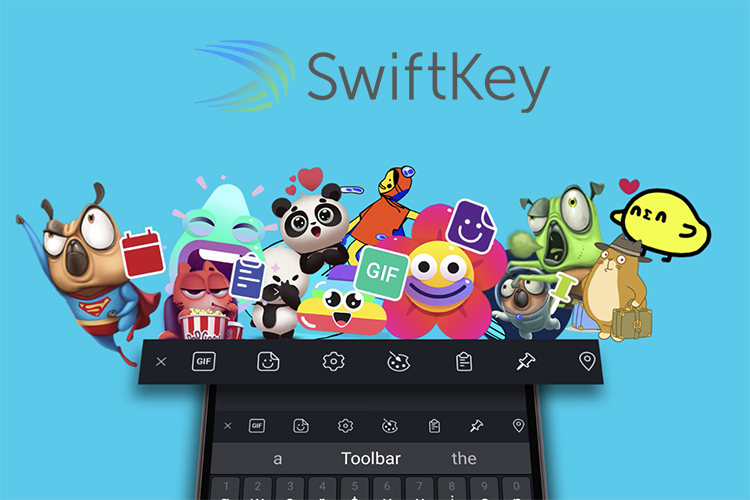 As announced via an official blog post, Microsoft has now decided to replace their old Windows 10 touchscreen keyboard with the more accurate tech and intuitive experience of SwiftKey – which has been one of the most popular keyboard app on Android and iOS for years. This means you now have SwiftKey at your back and call in Windows 10 tablet mode on PCs and laptops. Swiftkey will come with support for 7 languages – English, French, German, Italian, Spanish, Portuguese, and Russian. The keyboard will understand and also learn your writing style in any of these languages over time, to improve its next-word predictions. Microsoft has ported the SwiftKey keyboard to Windows 10 to give PC and laptop users a chance to enjoy the AI and machine learning backed prediction and typing experience of this keyboard. It was acquired by Microsoft in 2016. Besides SwiftKey, Microsoft has also made improvements to the Game Bar with this Insider preview. It now lets you see the FPS, CPU usage, GPU VRAM usage, and system RAM usage in the overlay. This also includes a new volume control that lets you adjust the sound of all audio output devices. There are also some nifty little tweaks to how WebDrivers now make it easier to automate testing in Microsoft Edge, Narrator comes with a new keyboard layout and automatic dialog reading and many other improvements. You can check out the complete changelog for this Windows 10 Insider build in the link above.